Disclosure: I was provided with a complimentary catered breakfast brunch by Jamba Juice Catering. The following is my honest opinion. 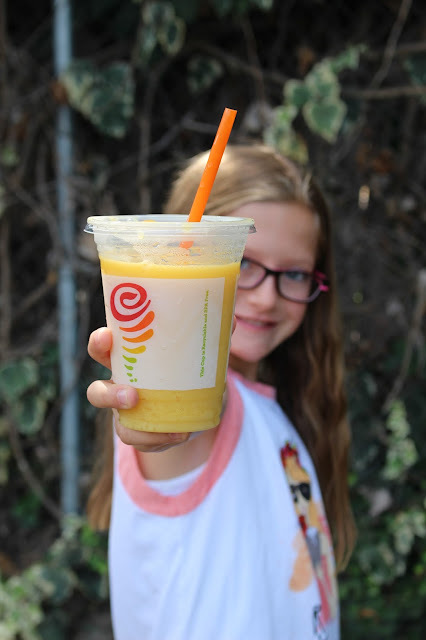 We've loved Jamba Juice for a long time, even before getting the opportunity to partner with them in this campaign. If I had to pick something healthy and delicious I would want delivered right to my door Jamba Juice would be at the top of the list. So when Jamba Juice contacted to set up a Jamba Juice Catering order of fresh acai bowls and fresh whole food smoothies made to order within an hour of delivery....I responded with "Yes, please!" I wasn't sure how we were going to pull it off, getting fresh made smoothies AND all the stuff for the fresh acai bowls. But, I was so impressed with how it went. I invited a few of my friends over along with their children for a back-to-school get together. It was so nice to pause, refresh and enjoy a delicious brunch without having to worry about all the prep. Jamba Juice Catering literally did everything for me! My home can get a little dark, so some of the photos aren't great. But, the food was amazing. Fresh, delicious and so easy! Jamba Juice smoothies and acai bowls pack a walloping nutritional punch. We love smoothies from the menu that are whole food and do not contain the sherbet that comes in their classic menu smoothies. Jamba Juice acai bowl catering comes with a variety of assorted toppings and an option to choose additional greek yogurt for those who cannot have the acai. My favorite toppings were the date pieces and the organic granola. So good! The kids loved the fresh fruit on their acai bowls. Right now, Jamba's catering orders are made through your local San Diego stores with more locations hopefully rolling out in the future! That being said it was pretty simple to order. I chose the catering menu items I wanted, including a Smoothie Pack and Jamba Bowl Bar, scheduled a date and time for delivery with my local store, and pre-paid for my order (I was treated to a complimentary brunch in this instance). Boom. Done. So simple. I chose to have my Jamba Juice Catering order delivered. If you wish, you can also opt to pick up your order. But I mean, come on. Who wouldn't want fresh Jamba Juice smoothies and acai bowls delivered right to your door?! When it came time for delivery, my Jamba Juice store called to let me know they were on their way. They are prompt, kind, courteous, and help with set-up. Everything comes packaged up in insulated bags and boxes. Here's our table set up for my back-to-school party. I love that there is a set up planning card for the acai bowl toppings. Pre-made cards come with your order to put out with the acai bowl toppings. Its good to know that there are no bananas because they brown when left out. While it's not cheap, you definitely get a healthy bounty of food and smoothies. The smoothie pack comes packed with 15 smoothies. You can choose up to 3 different smoothies and Jamba Juice Catering provides 5 of each flavor. 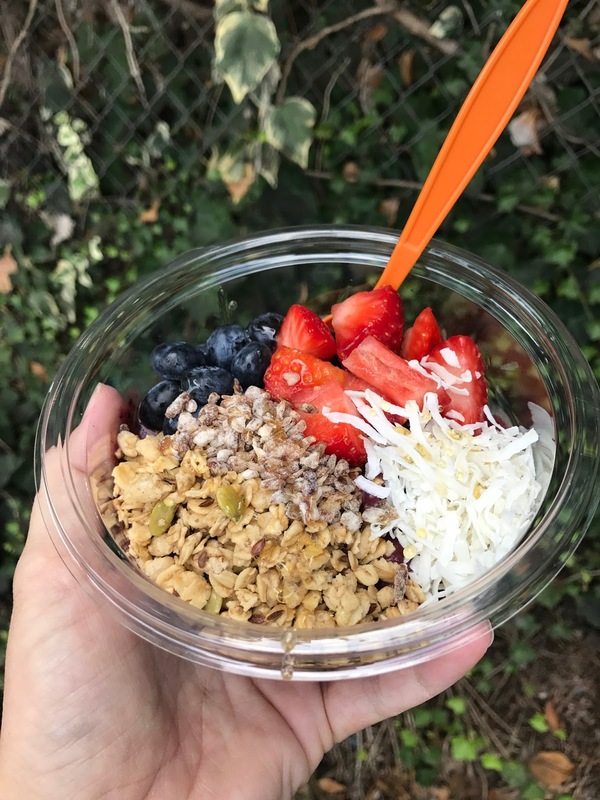 The fresh Jamba Bowl Bar package comes with a huge bowl of acai that arrives in an insulated bag along with all of the toppings you need. Everything is kept fresh and cold until arrival. The toppings come in clear plastic containers with lids. They also provide napkins, utensils and straws. Jamba Juice really does think of everything. They make it so easy to wow guests with everything provided at a reasonable catering price. There were definitely smiles all around. I would have taken photos of the grown ups but we were all so excited to dig in to the acai bowls that when guests started arriving I totally forgot. That's when you know its good. Everyone's too busy eating! The kids happily savored their smoothies and I was pleasantly surprised to see my son, who usually doesn't like green smoothies, drink an "Apples and Greens". 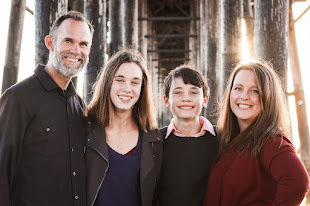 Would I do anything differently? The only thing I would do differently next time is not order an super acai antioxidant smoothie when also having the acai energy bowls. They were so delicious, but I would have rather had a 3rd smoothie option without acai. When all was said and done, I would have to say I would do this again in a heartbeat. Jamba Juice Catering is perfect for brunch get togethers with friends, team parties, corporate events, teacher appreciation, kids birthday parties and so much more. Jamba Juice has made healthier catering options for events both affordable and delicious. 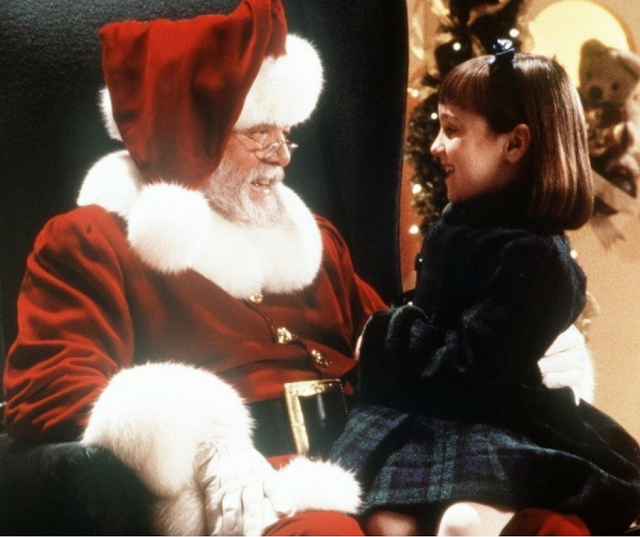 I'm really looking forward to surprising the kid's teachers during the holidays and teacher appreciation. 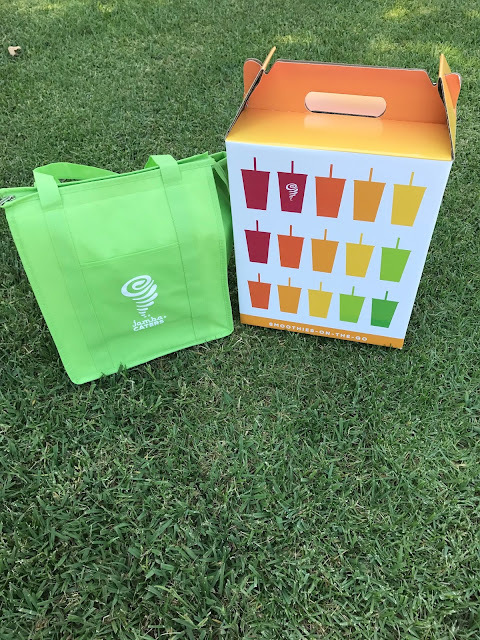 You can connect with Jamba Juice Catering in San Diego and order today!